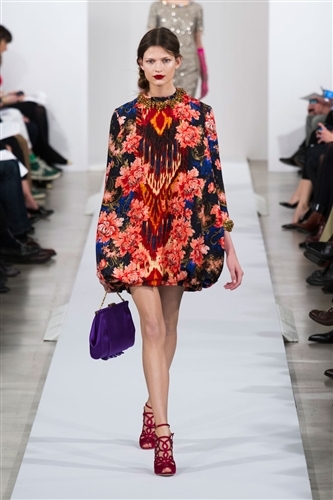 With mounting speculation surrounding the Oscar de la Renta show, eyes watched and waited to see the influence from a certain individual. 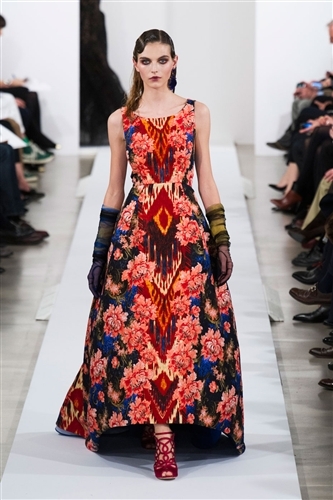 Last month John Galliano was annouced as designer-in-residence at the fashion house, making headlines everywhere. 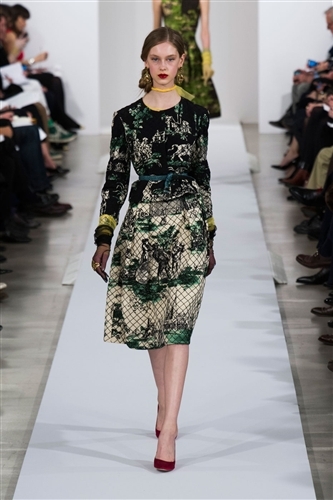 Despite no sighting of the former Dior designer, he was felt both in the building and in the collection. The belted wrap jackets opening the show seemed to reflect his past pieces from Paris and traditionally a Dior look. 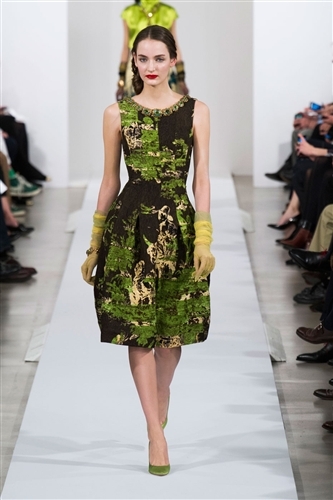 Without forgetting that this was actually de la Renta’s show, faith was restored in his magnificent all American designs and the choice of four different hair and makeup looks. Evening wear was stunning with jewel tone, water like silk and mixed colour patterns in burnt orange and moss green. The two finale gowns embroidered all over in gold finalised the decision that after 50 years designing in New York, Oscar is a true master.